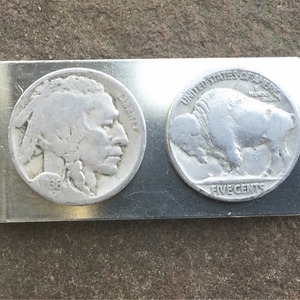 Home > Money Clips > Valentine's Day Buffalo Nickle Money Clip. Gift for Him. Nickel Money Clip. Handmade Indian Money Clip. This money clip can be made heads or tails (see options). This coin jewelry money clip can be made from your coins for $20. This handcrafted coin jewelry money clip is also made in the USA.